Looks like there might be a new book coming out. It will be red, like the Scrivener book, and it will be an aid to writers. Currently at over 100 pages, it’s a weighty tome (for me it is, anyway). Printed proof coming in a couple of days. 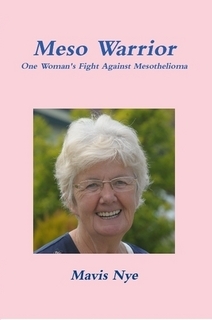 Then a bit of proofreading, a bit more writing, and it’ll be available. My word, I’ve been a busy boy. I’ve wanted to write a short introduction to self-publishing for ages. 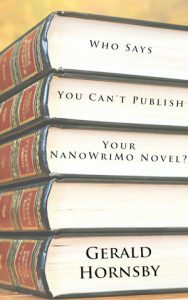 I used the opportunity of NaNoWriMo to create this book. I’ve created a simple, three-step process to self-publishing that I think is unique – it’s straightforward, easy to understand, and yet allows authors with only a small amount of knowledge to get their book out there and in front of readers. * I talk about your manuscript, how to edit and proof read and prepare it for publication. * I talk about covers, how important they are, what to look for to create a great and attractive cover which will entice readers in. * I talk about the publishing process, what’s involved, pricing, and so on. 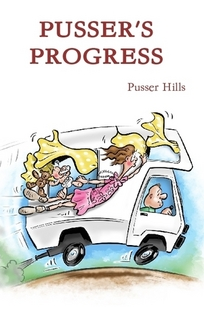 It’s a great primer for authors wishing to make their first foray into the world of publishing. First is a book for all those writers who want to challenge themselves to write 50,000 words during the month of November. This is, of course, [ NaNoWriMo ] a challenge I’ve undertaken 13 times, with 12 successes since 2003. I love the excitement, the social support, and the month-long focus. Over the years, I’ve seen many authors struggle with one or more aspects of this challenge, and I’ve seen the same problems come up time and time again. So I thought I’d distill them all into one ebook, full of tips, advice and inspiration. ***** I have read a lot of books on writing, very few inspire me, this was a pleasant surprise. There are a lot of really helpful ideas in this book that I will be using for my nano prep. I have read many books from authors who think they can write with humour, in my experience very few can do it successfully. Gerald can, I laughed a lot reading this. A must read for anyone wanting to take on the nano challenge. 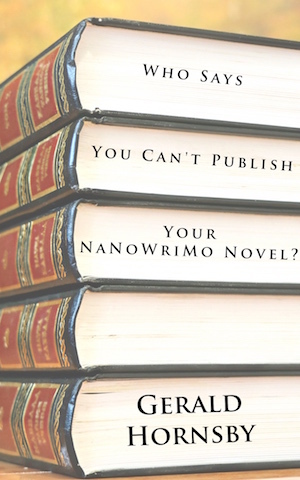 ***** This is a short, easy-to-read guide for anyone about to embark on NaNoWriMo. 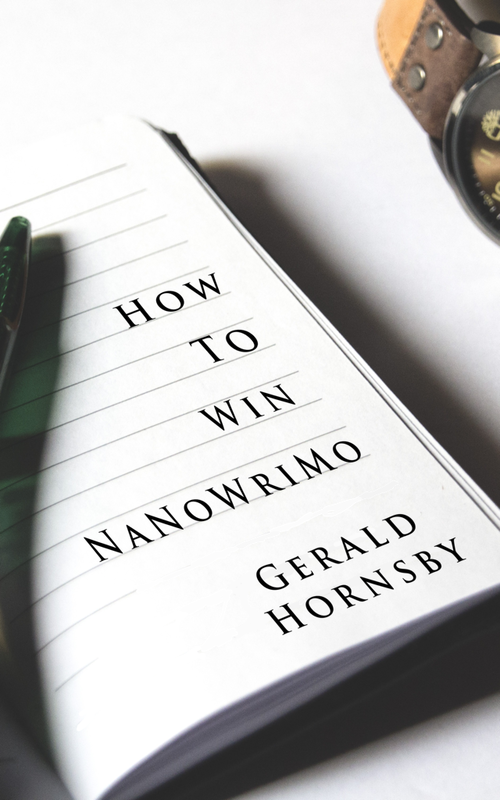 Gerald Hornsby sets out his personal ‘take’ on how to breeze through this yearly novel-writing challenge without going mad in the process. His writing is shot through with humour and sound common sense. I thoroughly recommend this book if you, like me, are considering the herculean task of writing 50,000 words in one short month. 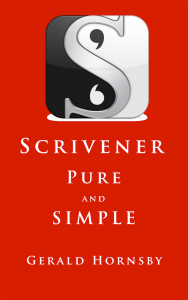 Scrivener is a word processor at its core, but it an awful lot more than that. It is a piece of software specifically designed for creative writing, both fiction and non-fiction. But there is a problem with it. It is so incredibly multi-functional, new users can sometimes get lost in all of its features. I know I did, and tried several times to begin using it, only to fall back on ‘normal’ word processors that I knew and understood. And then, something clicked. After a problem with chapter numbering, I began writing my fiction in scenes, as screenplays are. And suddenly, Scrivener made sense to me, and I stripped back all of the features I wasn’t using, and didn’t want to see. Fortunately, through the use of templates, Scrivener makes this easy. Since that time, I’ve talked about Scrivener to many writers, and a lot of them shared the same experiences as me – difficult to get to grips with at first. So I thought I’d share my thoughts on it, and how I set it up. It works for me, maybe it will work for you, too? And here she is! In all her glory! 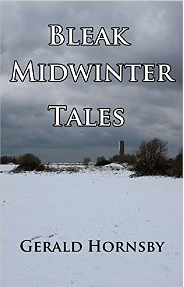 I have finally uploaded my all-in-one flash fiction and short story compilation to Amazon. Fifty-two stories, in one low-cost book. Ideal if you like your fiction short and dark. As soon as it comes out of review, I’ll post a link. Of course. Soon, I shall be updating my published works, and releasing the two volumes as a single volume collection. Better value! Check back before the end of 2014. And 2015 looks like it’s going to be a bumper year. Watch out for my apocalyptic novels, my crime novels, and my horror collaborations!